Remember the QX Sport Inspiration concept seen at past auto shows? The evolution of that vehicle culminates this week with the global debut of the next-generation 2019 INFINITI QX50, built on an entirely new platform and featuring world-first technologies, a stand-out design and unrivalled interior space. "The 2019 QX50 is the most important vehicle we have ever launched, and it embodies everything the brand stands for: Beautiful design, advanced technology and empowering performance. As a luxury, midsize SUV, it's the right vehicle at the right time in one of the world's fastest-growing segments." If you think only hybrid and diesel powertrains can deliver high torque and efficiency, you’re about to be proven wrong. 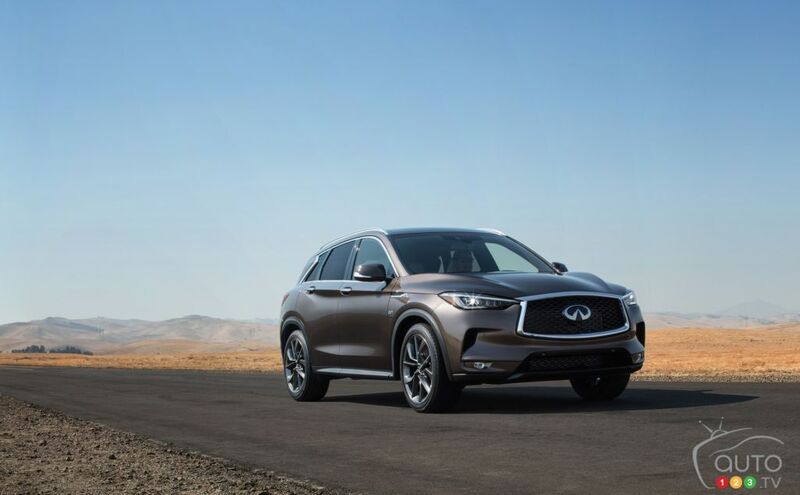 The 2019 INFINITI QX50 introduces the world's first production-ready variable compression ratio engine, which adjusts its compression ratio to optimize power and efficiency. It combines the power of a 2.0L turbocharged gasoline engine with the torque and efficiency of a 4-cylinder diesel engine. 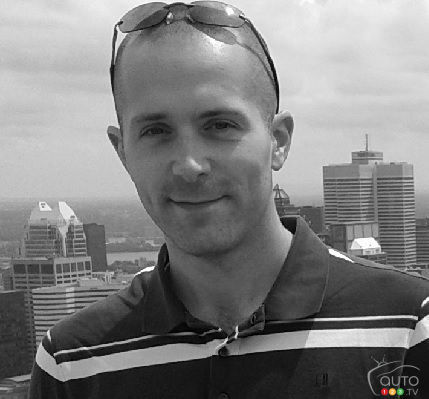 "Variable compression ratio technology represents a breakthrough in powertrain development. 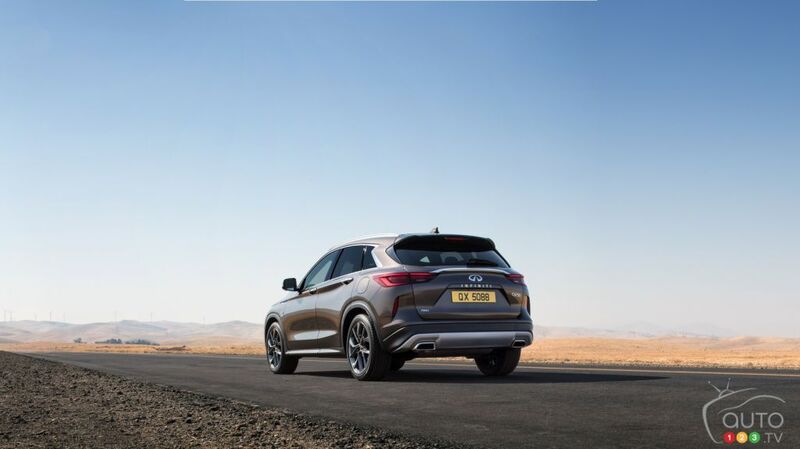 The QX50, powered by our VC-Turbo, is the first production vehicle ever to give drivers an engine that transforms on demand, setting a new benchmark for powertrain capability and refinement." A multi-link system continuously raises or lowers the pistons' reach to transform the compression ratio. The VC-Turbo offers any compression ratio between 8:1 (for performance) and 14:1 (for efficiency), maximizing driver control. INFINITI released EPA estimates, but we prefer to wait and give you the official Canadian fuel economy ratings when they become available. Still, expect a 30% improvement in fuel efficiency over the previous V6. What you can be certain of is that the VC-Turbo engine delivers 268 hp and 280 lb-ft of torque. Moreover, its unique ability to transform is perfectly matched with a continuously variable transmission (CVT) for seamless power delivery. 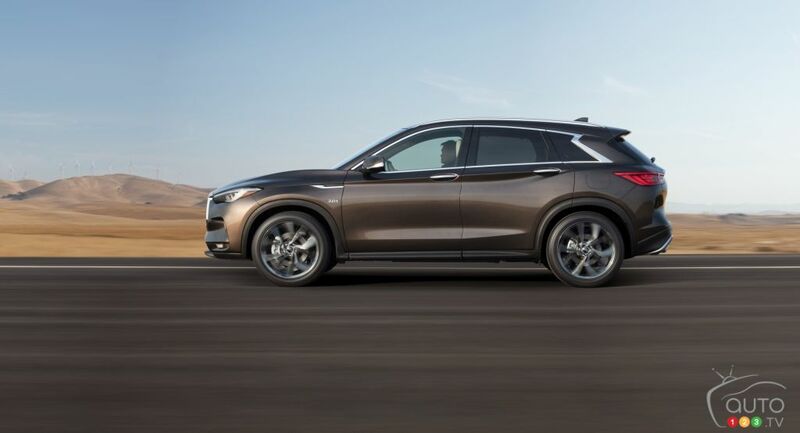 On a further technical note, the 2019 INFINITI QX50 is built on an all-new platform that maximizes refinement, rigidity and interior space. It actually marks the first automotive use of Super High Formability (SHF) 980 MP, a high-tensile steel that can be moulded into unprecedented shapes, saving weight and representing a torsional rigidity improvement of 23% over the outgoing QX50. INFINITI's customers have stated their desire to remain a key element in the driving equation, so the brand's vision for driver assistance technologies is a step removed from the notion of fully-autonomous “driverless”' motoring embraced by some carmakers. In the 2019 INFINITI QX50, ProPILOT Assist technology (first introduced on the 2018 Nissan LEAF) allows the vehicle to control acceleration, braking and steering during single-lane highway driving. And it’s all available at the push of a button, so you can regain control anytime you want. "Our intention is to empower the driver and enhance feelings of pleasure behind the wheel, not to remove the driver from the equation." A revolution in design, too? While missing the concept’s super-cool headlights, the new 2019 INFINITI QX50 effectively reinterprets the brand’s distinctive Powerful Elegance design language with a bold new front look and deep character lines. Aerodynamic efficiency was also key in the design process: the drag coefficient is reduced by 6% compared to the previous QX50. Inside, the aforementioned new platform results in segment-leading space, INFINITI claims, with a sliding rear bench enhancing cabin and cargo flexibility and creating best-in-class rear legroom. The trunk's volume expands from 895 to 1,048 litres as the rear bench slides fore and aft, growing to 1,699 litres with the rear seats folded. With all seats in place, it accommodates three golf bags, or a stroller stored lengthways. Under-floor storage areas make it possible to stow other items out of sight. Meanwhile, the asymmetric layout of the “driver-centric, yet passenger-minded” cabin features higher-quality materials than before, with cutting-edge technologies and infotainment features to keep everyone comfortable and connected, INFINITI assures. We’ll keep you up-to-date as the 2019 INFINITI QX50 continues to appear at auto shows and prepares to hit the market next spring.